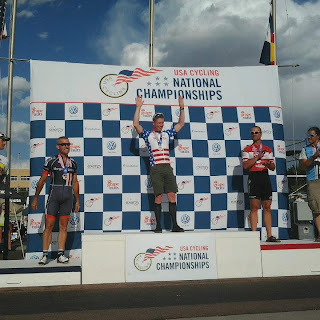 Starting small and working our way to big: Road Masters Nationals were in Bend, Oregon again this year. Both Alex Rosenast & Kyle Farrell competed in the time trial, with both ending up mid-field in their age group packs. Jason Bethel went on the attack in the road race, spending the majority of the race in a 2-man break and doing it the hard way. Unfortunately an active peleton combined with a long finishing climb didn't work in Jason's favor. 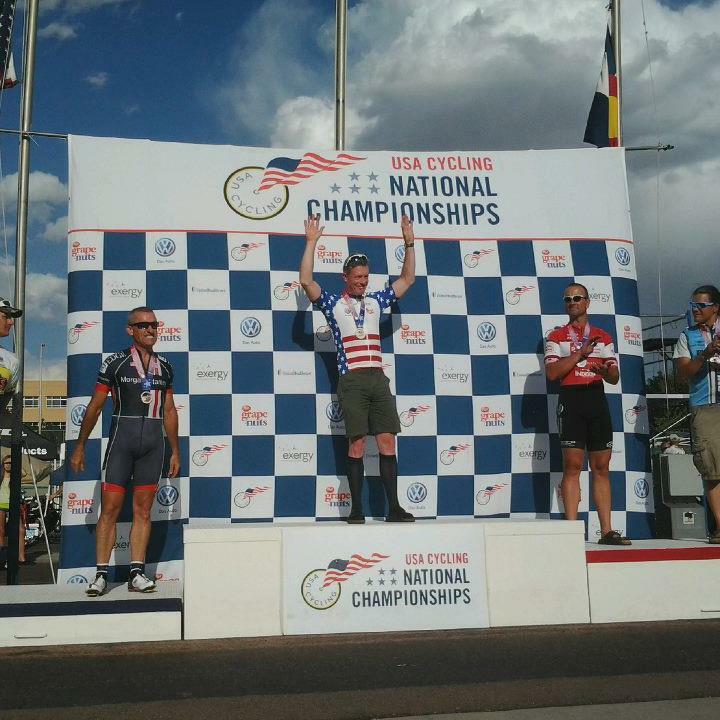 Much bigger: Track Masters Nationals in Colorado. Aaron Berntson went down and represented Garage in a big way. I haven't done much track racing myself, but the piece of advice I got from Aaron was about not having a sprint, going for the break, and dieseling it to the line. "If you're a one hit wonder, ride that pony." Aaron certainly did in the scratch race. After trying a couple late moves Aaron managed to pull a gap off the front. Six laps later Aaron was first across the line for Gold at Nationals! Congrats Aaron!